This exquisite Larkspur Blue 1957 Chevrolet Bel Air convertible is a frame-off restoration ready to be shown and enjoyed. 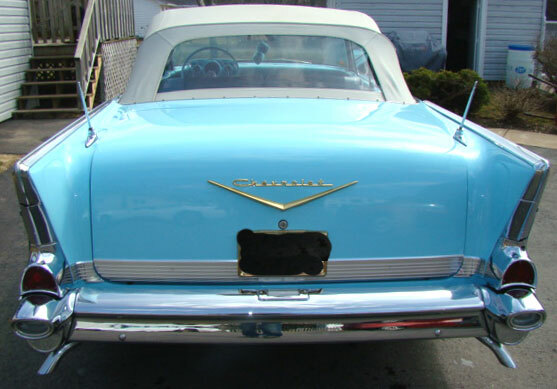 The work was done by by a very well-known Chevy restoration shop. The car has about 20,000 miles since the restoration was completed. The car is beautifully restored and no expense was spared to achieve such excellent results. It is a very strong #2 restoration.. The car has many options including a Power Pak motor, skirts, dual exhaust, dual antennas, tinted glass, tissue holder, backup lights and more. The only thing not stock is the backup light transmission switch was not installed and a switch is used for the backup lights. The Harbour Blue interior is very nice. The radio is a new stock reproduction radio with 10 disc CD player. The original radio, which has been rebuilt, comes with the car. 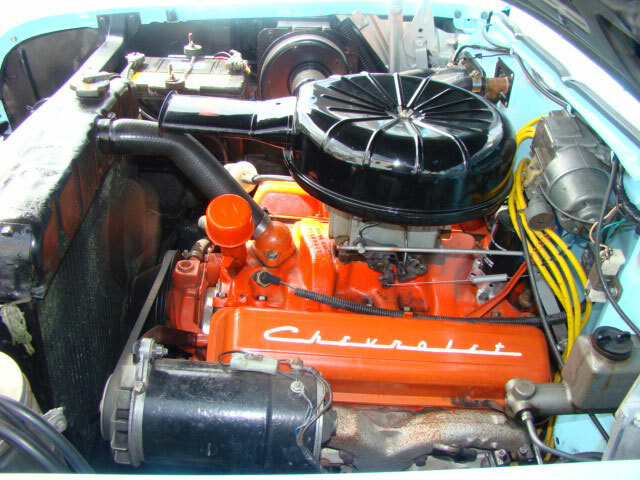 When the power train was rebuilt, the owner had a fresh 283 CID Pontiac block which was used. The original 283 CID block and crank come with the car. 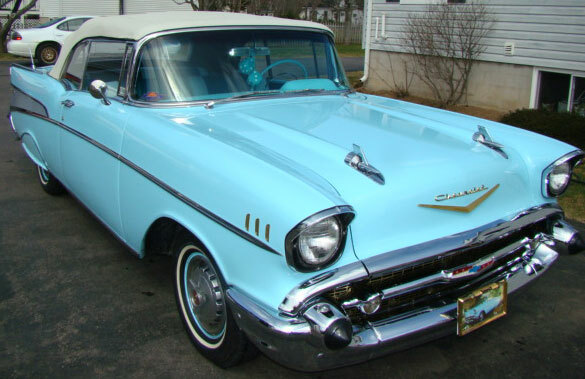 Don't miss this chance to own one of the world's most desirable cars...a 57 Chevy Bel Air convertible. 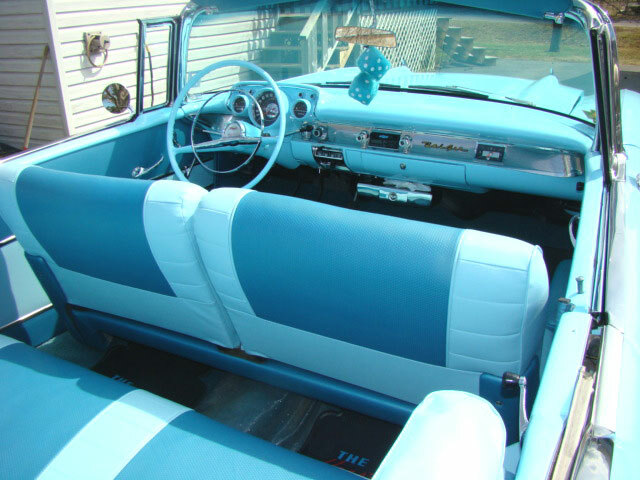 Please call (406) 318-0270 for details about this restored classic 57 Chevy convertible car. For sale $72,000.